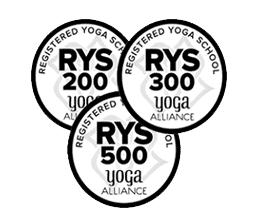 For the 200 hour yoga teacher training Primary Series at Multi Style Yoga School, Rishikesh you need to have prior knowledge and experience of Ashtanga yoga. Since the yoga teacher course is demanding and intensive you need to be in top physical condition. Candidates applying for the 200 hour YTTC must make sure that they have been practising Ashtanga Vinyasa yoga for 90 minutes daily for at least three months before they begin the 200 hour Primary Series yoga certificate course. However, if you are new to Ashtanga Yoga, you need not be disappointed because the Multi Style Yoga School offers Ashtanga Yoga 200 Hour Yoga Training Course for participants who do not know Ashtanga Vinyasa yoga. You will be able to equip yourself with the knowledge and practice of Ashtanga Vinyasa yoga and lay the foundation for furthering your yoga teacher training and yoga certificate courses. As a yoga learner at the Multi Style Yoga School, you will need to have 100% attendance and follow the schedule and all activities fully. Ashtanga Vinyasa Yoga 200 hour yoga teacher training intensive offers a chance to those yoga teachers who wish to gain the 200 hour yoga certificates. You can do 200 hour yoga teacher course in one go or split it up into two 100 hour courses as per your convenience. Upon completing the 100 hour teacher training you will receive a certificate indicating the completion of the 100 hour yoga training course. Only once you complete the remaining 100 hours will you be able to become a certified yoga teacher with 200 hours yoga certificate. Ashtanga Vinyasa yoga integrates the practices of postures, kriyas and breathing techniques in its full depth. It enables you to make lifestyle choices that will lead to inner peace. Ashtanga Vinyasa Yoga is taught in the traditional manner maintaining the purity and complete discipline as taught by the ancients. Vinyasa is a breathing and movement system maintained during asana practice where one breath equals one movement. With time and practice, the correct vinyasas become possible and this leads to internal cleansing and purification.